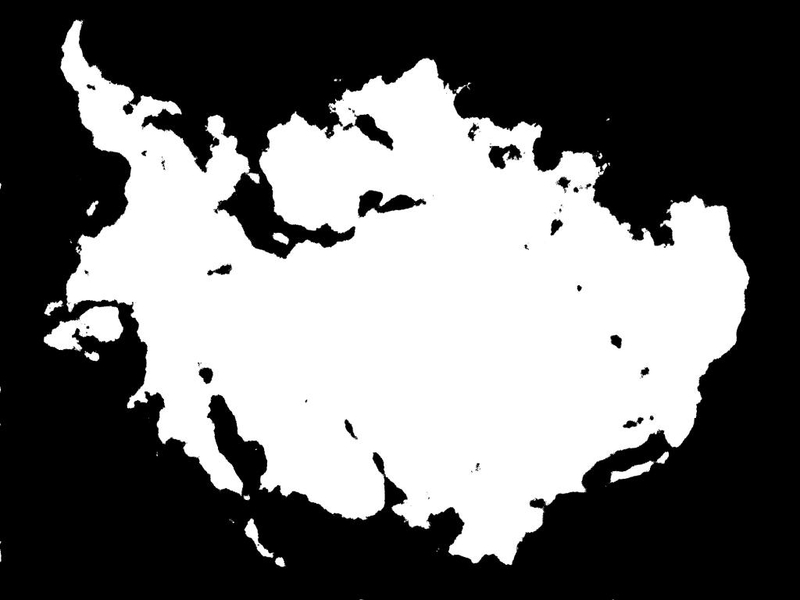 The other day I posted a tutorial on how to create a world map. That tutorial however did not go over the initial first step of how to generate a map outline. Ergo this followup post. One method for creating a map outline is simply to draw it by hand, either on paper (which is then scanned and transferred to a graphics editing program) or by tablet. 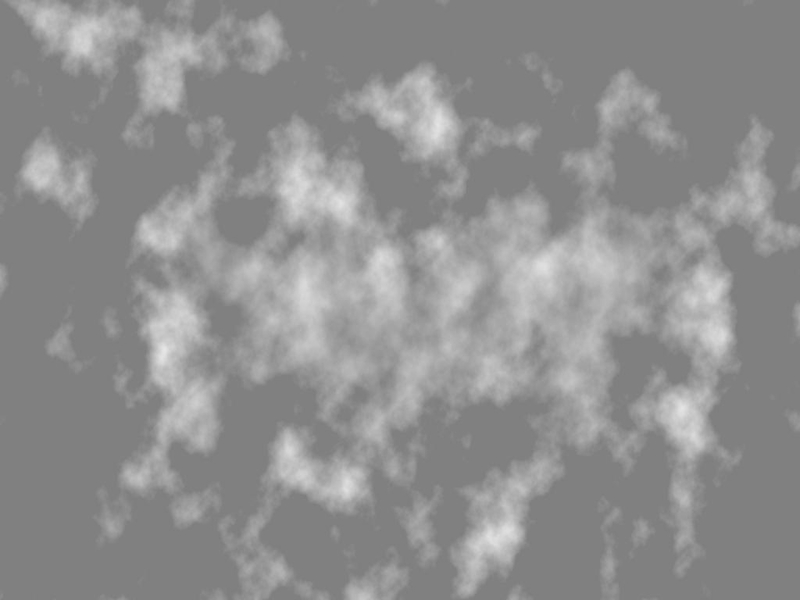 However another method involves using fractal clouds native to graphics programs such as GIMP and Photoshop. It is a fairly easy and straight forward process. For the purposes of this tutorial I’ll be demonstrating how do this using GIMP, though the same general process applies to Photoshop as well. The first step will be to create the initial layers necessary to generating an outline in your graphics program. Create a new file with the dimensions you wish the map to be sized at (in this demo piece I set the ‘Width’ to 2000px and the ‘Height’ to 1500px). Make sure that the background color (under ‘Fill With’ in ‘Advanced Options’) is set to white, and hit ‘OK’. 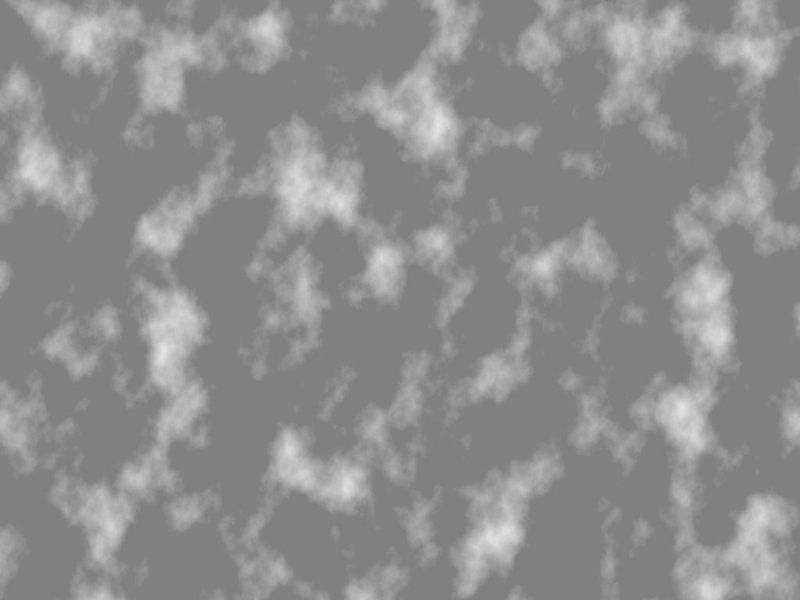 For this step we are going to turn these random puffs of fractal clouds into something resembling a land-form. To do so click back on the ‘Clouds’ layer to select it. Grab the Airbrush tool. Change the foreground color to white and keep the background color at black. 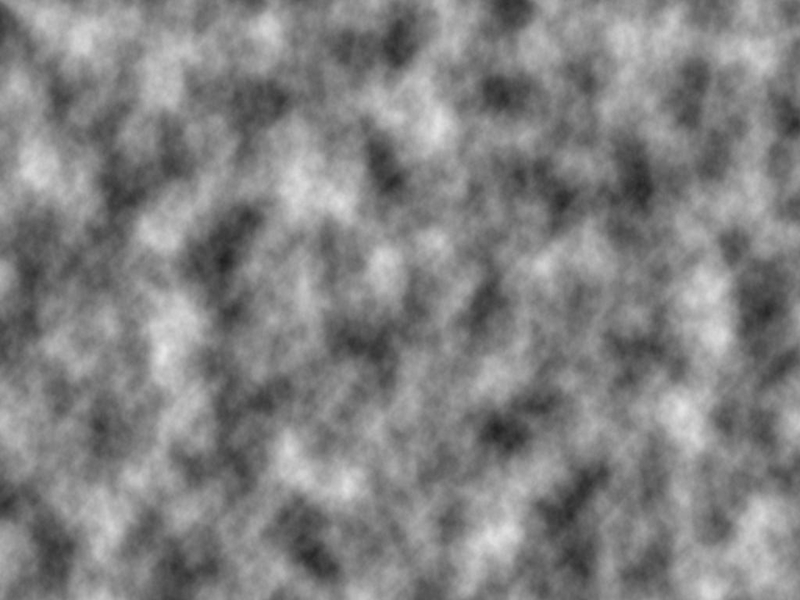 Lower the opacity of the airbrush to 50% and change the brush size to about 200px (this will vary based on the size of the map, once you play around with this method you’ll get a feel for how large the brush should be). 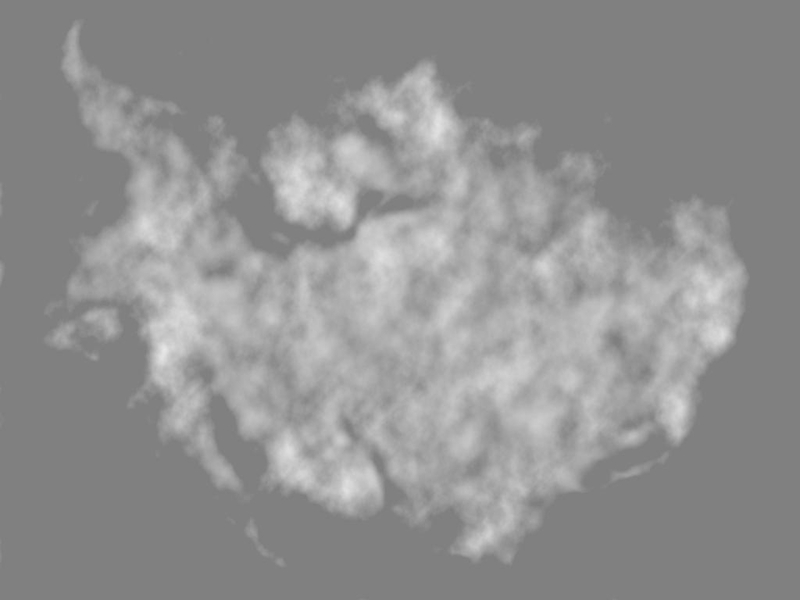 Now it’s time to take these cloud shapes and make them into a two-tone image. Click on the ‘Grey’ layer to select it, then ‘Right Click’ on that layer and in the drop down menu that appears select ‘New from Visible’. This will create a new layer above the grey that essentially is a merged copy of all the visible layers below it. Name this new layer ‘Outline’. Next grab the ‘Select by Color’ tool, set the threshold to 15 and, on the ‘Outline’ layer, select the grey area (by left clicking on it) and then fill this area with black. Now invert the selection: in the above menu go to ‘Select’ and hit ‘Invert’. Fill the inverted selection with black. Turn the selection off (‘Select’ > ‘None’).